Cherry Hill residents can participate in the township’s first Walk with Wellness or volunteer their time during National Public Lands Day on Saturday. A pair of outdoor activities highlights this weekend’s event schedule in Cherry Hill Township, while numerous other area towns are holding festivals to celebrate the first weekend of fall. Check out some of the events taking place around the region this weekend. · On Saturday, Cherry Hill Township will hold its first Walk with Wellness. The event will take place at Borton’s Mill Trail, located on Borton’s Mill Road near Kitty Hawk Road beginning at 8:30 a.m. Participants can meet health professionals from Cherry Hill and learn about important health topics. The event is free to attend. To pre-register, visit https://register.capturepoint.com/cherryhill. · Saturday is also National Public Lands Day and the Cherry Hill Environmental Board is inviting residents to volunteer their time. Volunteers will gather at 9 a.m. on Saturday at Croft Farm. Some of the activities will include trail erosion control, trail improvements, invasive species removal, and trash and litter pickup and removal. For more information, call (856) 424–3203. · Deer Park Fire Company, located at 985 Cropwell Road in Cherry Hill, is hosting its fourth annual yard sale on Saturday from 8 a.m. to 2 p.m. Deer Park is an all-volunteer unit. Proceeds from the yard sale will go directly to the fire company. 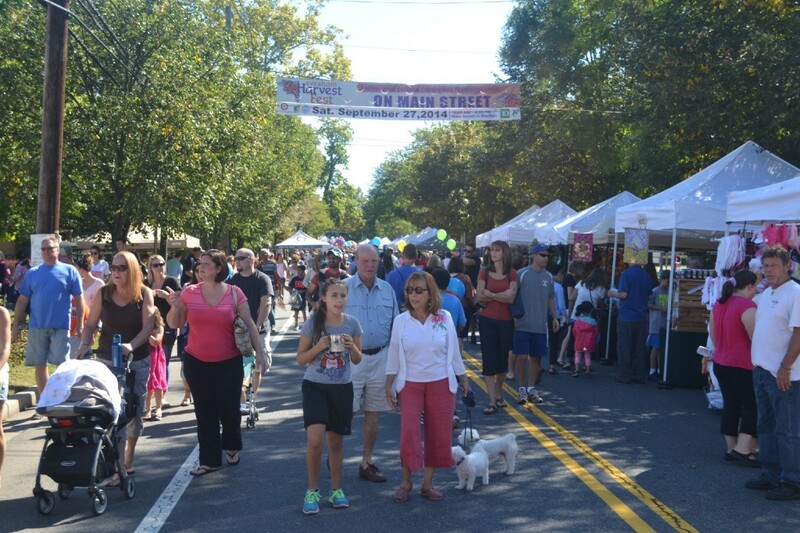 Main Street in Evesham Township was bustling during the 2014 Harvest Fest. The 30th annual Harvest Fest takes place on Saturday. 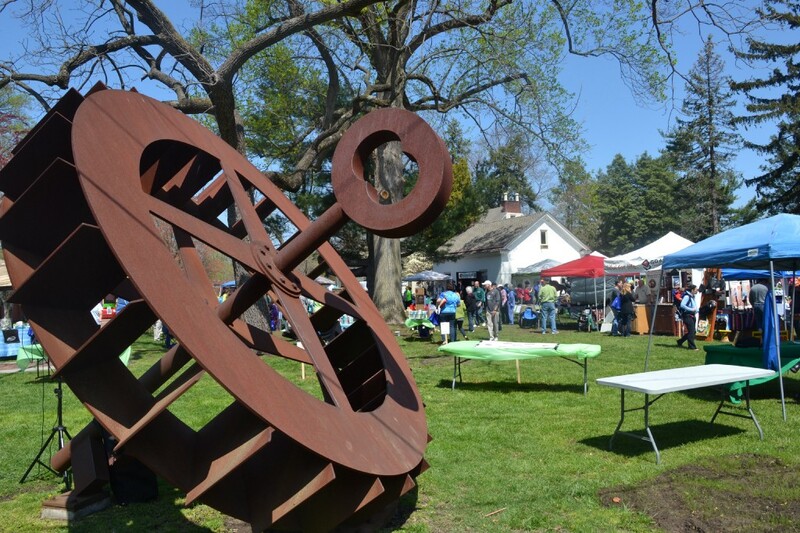 · Evesham Township will be celebrating the return of autumn with its 30th annual Harvest Fest on Saturday. The event will take place along Main Street from 10:30 a.m. to 4 p.m. Harvest Fest will include more than 80 crafters, 25 food vendors and about 30 local nonprofits. There will also be plenty of activities for adults and kids. For more information, visit www.eveshamcelebrations.org. · Woodstown is also celebrating the start of fall at the Woodstown Fall Festival on Saturday from 10 a.m. to 4 p.m. The event will take place at Woodstown’s downtown area near the intersection of Route 40 and Route 45. The event includes crafters, music, activities for kids, a scarecrow-building contest, food, and wine and beer tasting. Prior to the festival, the Woodstown Pilesgrove School Foundation will hold a 5K Run for Education at 8 a.m. at Marlton Park. For more information on either event, visit http://www.woodstownfallfestival.com. · West Deptford Township will host its annual Fun Day at the RiverWinds Community Center, 1000 Riverwinds Drive, from 1 to 9 p.m. on Saturday. The event will include vendors, food and live music. The day concludes with a fireworks display at dusk. Email funday@westdeptford.com for more information. · The largest Irish Festival on the East Coast will be in North Wildwood this weekend. The Irish Fall Festival will take place from 8 a.m. to 8 p.m. daily throughout town. Celebrate Irish heritage with dancing, music, food and craft vendors. There will also be a golf tournament, concert, Irish dance lessons, a 5K run and more. The weekend concludes with a parade beginning at 20th and Surf avenues at 12:30 p.m. on Sunday. Visit www.cmcaoh.com/festival.html for more information. · Margate will be holding its 15th annual Fall Funfest by the Bay this weekend. The event will take place along Amherst Avenue between Decatur and Coolidge avenues. There will be a slew of entertainment, activities, food, shopping and more. The event is free to attend. Visit www.margatehasmore.com/calendar/2016/9/24/fall-funfest-by-the-bay for a full schedule of events. · Brazil’s independence will be celebrated on Sunday at the Brazilian Day Festival. The event takes place from noon to 6 p.m. at Penn’s Landing. The festival will showcase Brazilian culture and feature Samba, Forro, Pagode, Capoeira, Sama-Reggae and more. There will be an abundance of vendors, food, merchandise, entertainment and more. Visit www.delawareriverwaterfront.com/events/brazilian-day-philadelphia7 for more information. · Puerto Rican culture will also be celebrated on Sunday as the 2016 Puerto Rican Day Parade takes place along the Benjamin Franklin Parkway. This year’s parade theme will be “The Power of Our Voice/El Poder de Nuestra Voz.” The grand stand will be located at Logan Square. Visit the parade’s event page on Facebook at https://www.facebook.com/events/1694312940793265 for more information.